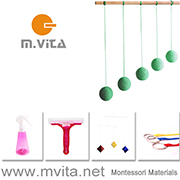 I am passionate about Montessori in the home! I am from Australia (Brisbane) but currently live in the UK (Wiltshire) with my husband and three sons. Caspar is eleven years old, Otis is seven and Otto is one year old. I discovered Montessori when Caspar was around six months old. We incorporate the philosophy of Maria Montessori into our home the best we can. Otis and Otto have been raised from birth the Montessori way and I have captured much of their development here on the blog. From the Munari to the weaning glass - it's all here! One of my greatest blogging struggles is getting on top of email. Unfortunately, at this time, I am cannot reply to all emails. Please feel free to ask questions in the comments section of the blog or on our Facebook page. If you would like to contact me personally you can me email at howwemontessori@gmail.com. In 2012 I co-authored and photographed a children's cookbook Kids in the Kitchen : Simple Recipes That Build Independence and Confidence the Montessori Way. The cookbook contains step by step photographed recipes that pre-readers can use independently. All profit from the sale of Kids in the Kitchen goes towards Montessori for All. To read more about Montessori for All and their progress in building the first free, public Montessori schools in Austin and San Antonio please read the Montessori for All Facebook page. If you would like to read more about Montessori I have a recommended reading list here. I love to feature other Montessori families. You can read about other Australian Montessori Families here and International Montessori Families here. If you and your family would like to be featured please send me an email at howwemontessori@gmail.com. Thank you for taking the time to read our blog. 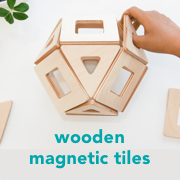 I hope you gain some Montessori knowledge or even just a little bit of Montessori inspiration.